It's Facebook Fridays! for June 24, 2016, and it's time for a tour de force! 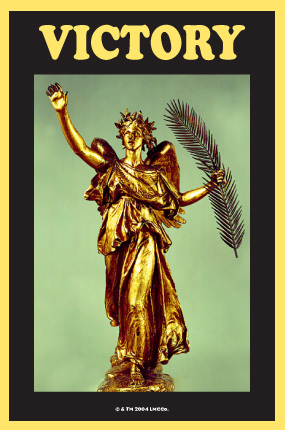 The Lucky Mojo Curio Company is hosting a random drawing to give away 4 advantage-granting Victory spiritual supply prizes for winning triumphs over contending rivals or enemies and as a thanks-offering for victories that have been won. 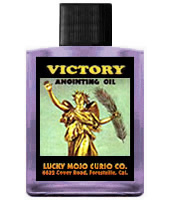 Each lucky winner will receive 1 blessed and dressed Victory Vigil Candle plus 1 bottle of hand-made Lucky Mojo brand Victory Dressing Oil. First thing tomorrow morning, we will select FOUR winners at random, announce their names here, and ask them to message this Facebook Page with their mailing addresses, so we can send them their FREE Victory products. Thank you, Ernie, for posting this. Y'all are going to the Facebook page in the link and entering these contests, right? We have a winner! In fact, we have 4 lucky winners! Our Facebook Fridays! winners for June 24, 2016 are: Nedre Carter, Melissa Solano	Liana L Christian, and Kevin Abel.